Fox - What is your real personality? Hello! If you were born as a fox, this quiz tells you what kind you'd be! What Type of Fox are You? 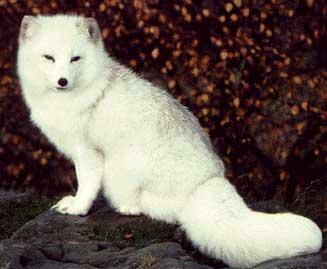 Foxes are beautiful, adaptable animals. What species are you? Did you know? Millions of foxes are killed yearly for their fur. They're kept in cramped, confined quarters and often skinned alive. Sound familiar? This is the life of a fox on a fur farm. So much suffering just for one coat. Real fur expends 60 times the energy than it would take to make much more affectionate, and environmentally-friendly fox fur. I’m such a fox nerd these tests are my own little heavens. Red fox, Arctic fox, Blanford’s fox, Tibetan sand fox, fennec fox, swift fox, corsac fox, Rüppell’s fox, Bengal fox, kit fox, cape fox, pale fox. Hello!!! I like foxes with big ears!!! They’re cute!!! I love all of these tests! !